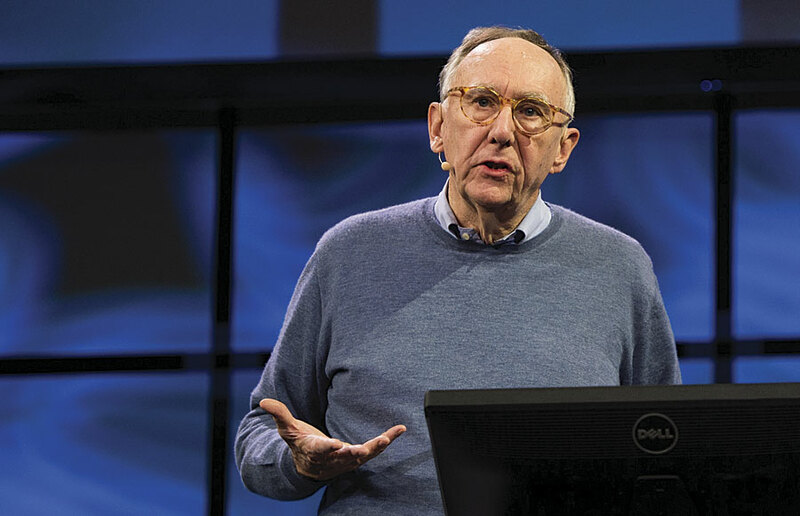 Esri president Jack Dangermond told an audience of app developers that the geospatial solutions they are building today are a "positive force'' for solving the problems faced by society and their organizations. "The world is not in a good place right now, don't you agree?" Dangermond said in his opening remarks to attendees of the 2016 Esri Developer Summit (DevSummit) in Palm Springs, California. "If you look at the challenges that we are facing—from climate change to social conflict to the need to be more efficient in our organizations to overpopulation—it's daunting. One of the great, bright lights for me is actually you and your creativity and your ability to take this technology—GIS—and leverage it into solutions that address these kinds of challenges." "This is an amazing year for Esri, and I hope it's an amazing year for you," Dangermond said. "The platform—from my experience and my 50 years of doing this kind of work—there's never been anything like it. The opportunity to extend and expand and be creative with the kinds of tools that are coming down the pathway and are already here is unparalleled." "This is an extendable and open architecture by design for developers," Dangermond said. "We design it as a platform that's extendable and interoperable and standards based for our own use and, at the same time, document it and make it available for developers like yourselves to extend and leverage." Dangermond also told developers to do more than drink from the fire hose of "awesome technology" during the summit. He encouraged them to meet new people and bounce ideas off each other. "I don't know how you learn, but the way I learn is through friendship," he said. "How do you interpret [new information]? It's really through other people's experiences and sharing. I want you to build and reinforce this as a community, a friendship network that you can count on. You can count on me, and you can count on everybody at Esri to support you and what you do."